A dialog box is used to display message to the users, to ask users to enter some information and to take decision. In this post, I have created a simple android alert dialog box which shows a title of dialog, a text message and a button. Displaying an alert dialog is very easy but if you are beginner android developer, you may feel difficult for the first time. You can also display your custom design alert dialog. 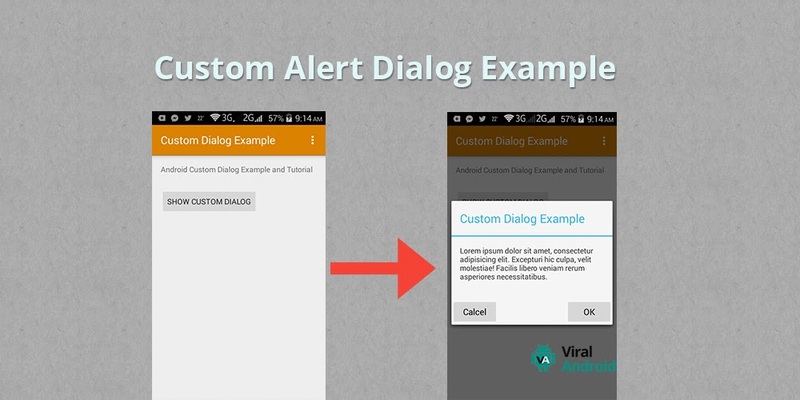 Android Custom Alert Dialog Example gives you instructions to display custom alert dialog in your app. With custom alert dialog, you can easily use graphic and own design using xml like other layout. To display simple alert dialog box to your android application, simply use following java code in your onClick method. Here is modified code of activity layout file. Here is modified code of java activity file. Now, run your application and click Show Simple Android Alert Dialog button. Your application contains a dialog with some text message and a button like this.